One of the Bible’s best-known stories comes to life on movie screens for a special nationwide event April 9, 11 and 13. Filmed in front of a live audience, Sight & Sound’s NOAH is the dramatic, musical version of the man who trusted God in the toughest circumstances. 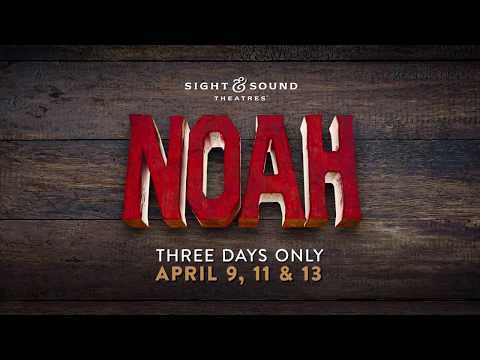 More than 5 million people have experienced the live performance of NOAH at Sight & Sound’s theaters in Lancaster, PA, and Branson, MO, – making it Sight & Sound’s most-attended show in their 42-year history.